Ready in under 30 minutes, prepare to have your taste buds tingling with this asian fusion dish! It’s delightfully simple and will be a family favorite or a perfect meal prep dish for the week! 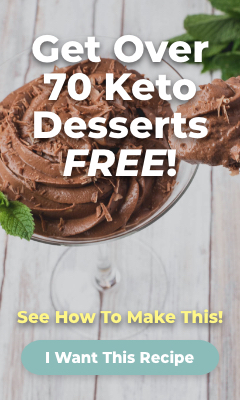 Delivering a powerful punch of protein and flavor, it may surprise you to learn that it’s also healthy and keto diet friendly! <h4><p style="color: rgba(20, 117, 135, 1)">Coconut Bliss</p></h4> Coconut aminos looks just like soy sauce and has a very similar flavor. Though some describe it as more complex and having a more rounded flavor profile than soy sauce. It’s made from the sap of the coconut tree, mixed with salt and aged to create a flavorful brew. Coconut sap, the key ingredient in coconut aminos, offers many health benefits. Coconut sap contains a wide variety of minerals, vitamins, and amino acids. Including high levels of potassium, vitamin C, and B vitamins. Its neutral pH also helps balance the body and make it alkaline. <h4><p style="color: rgba(20, 117, 135, 1)">Bring on the Ginger</p></h4> The health benefits of ginger are due to its antioxidants, anti-inflammatory properties, and content of therapeutic compounds like gingerol, shogaol, paradol and zingerone. Ginger contains a diverse array of many important vitamins and minerals. The compound gingerol may offer many unique health benefits. Such as helping to kill off disease-causing fungi with its powerful anti-fungal properties. Touted as a natural remedy for sea sickness and morning sickness, ginger is helpful for treating nausea and vomiting. 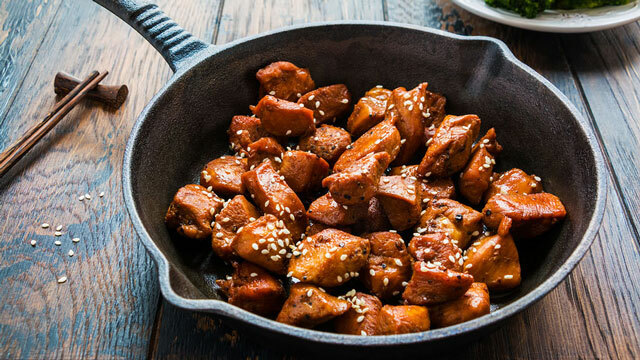 <h4><p style="color: rgba(20, 117, 135, 1)">Sesame Chicken Salad</p></h4> <h5>Prep Time: 15 mins | Cook Time: 15 mins | Serves: 6</h5> <h5><p style="color: rgba(20, 117, 135, 1)">Ingredients:</p></h5> For the Dressing: * ⅓ cup coconut aminos * ¼ cup apple cider vinegar * 3 tablespoons avocado oil * 2 tablespoons toasted sesame oil * 2 tablespoons minced ginger * 1 teaspoon onion powder * 1 teaspoon salt * ½ teaspoon pepper For the Salad: * 1 ½ pounds boneless, skinless chicken thighs * 4 diced green onions or ½ an onion * ½ large green cabbage or one whole green cabbage if small * ½ red cabbage * 1 cup sliced almonds * ½ cup chopped and loosely-packed cilantro * 1 tablespoon black sesame seeds * 1 tablespoon white sesame seeds <h5><p style="color: rgba(20, 117, 135, 1)">Instructions:</p></h5> 1. Combine all the ingredients for the dressing in a bowl. 2. In a plastic baggie, add about 3-4 tablespoons of dressing with the chicken. Allow to marinate for at least half an hour. 3. Add chicken with the dressing marinade into a large skillet. Cook over medium heat for 6-8 minutes per side, until cooked thoroughly—or grill. 4. Allow to cool to room temperature before chopping and adding to the salad. 5. Combine all other salad ingredients—besides dressing and chicken—in a large bowl. 6. When chicken is cool, chop and add to the salad. 7. Stir in remaining dressing, mix well, and enjoy!